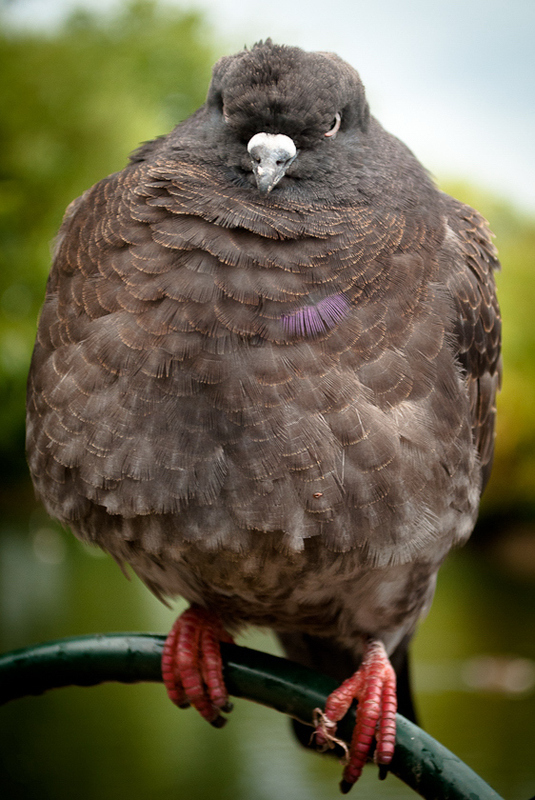 The feral pigeon is the single most-spotted bird in London. They flock to the squares, scavenge the streets for food, and defecate on buildings. 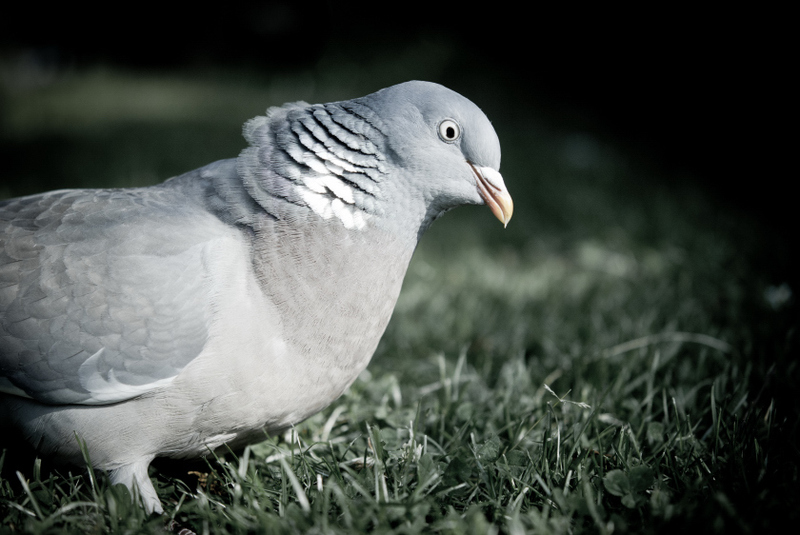 Their feathered cousin, the wood pigeon, is London’s most common garden bird. 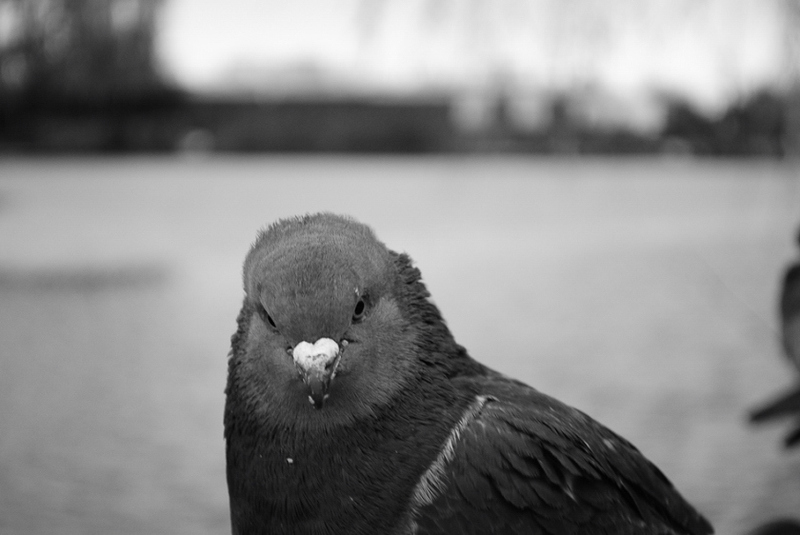 Some Londoners cherish the city doves, others loathe them. Trafalgar Square used to be famous for its pigeons, inspiring the song Feed the Birds in Mary Poppins. In 2000 Ken Livingstone drove out the birds by banning the traditional seed sellers. A turf war between the Mayor and Save the Trafalgar Square Pigeons ensued. Pigeons faced death by industrial hoover or blood-thirsty hawk. All bird feeding was banned in 2003, but a loophole allowed the protesters to continue on the North Terrace. In 2007 a new byelaw was created and the fine increased from £50 to £500. Although Livingstone was criticized for the excessive costs of the avian expulsion, a hawk is still present daily. Contrary to previous reports, we found no evidence of feathery carnage. Just a Harris Hawk named Harry, who likes to perch on the Olympic Clock and has a taste for fountain. He is one of four hawks who are flown by Van Vynck at Trafalgar Square. The Greater London Authority isn’t the only one employing hawks to deter the pigeons. 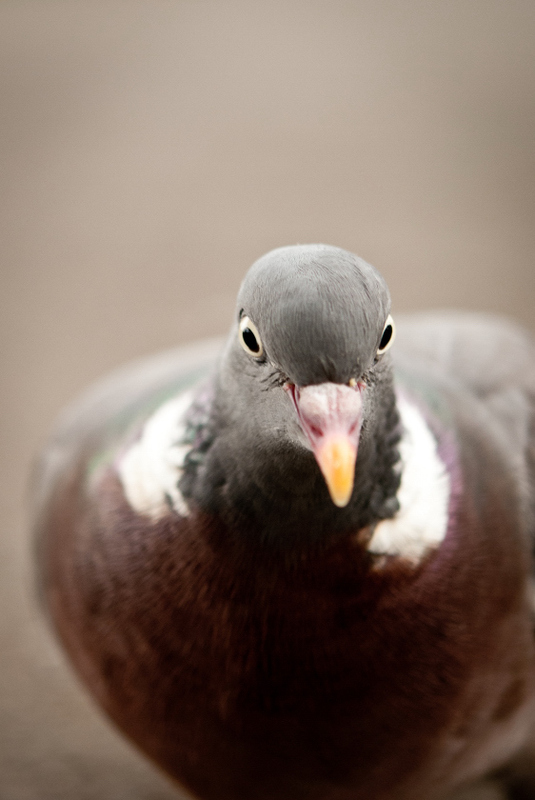 Wimbledon, condemned by PETA for cruel and illegal culling of pigeons in 2008, apparently has one called Rufus. And the BBC has followed suit with a Harrier Hawk for its new headquarters. 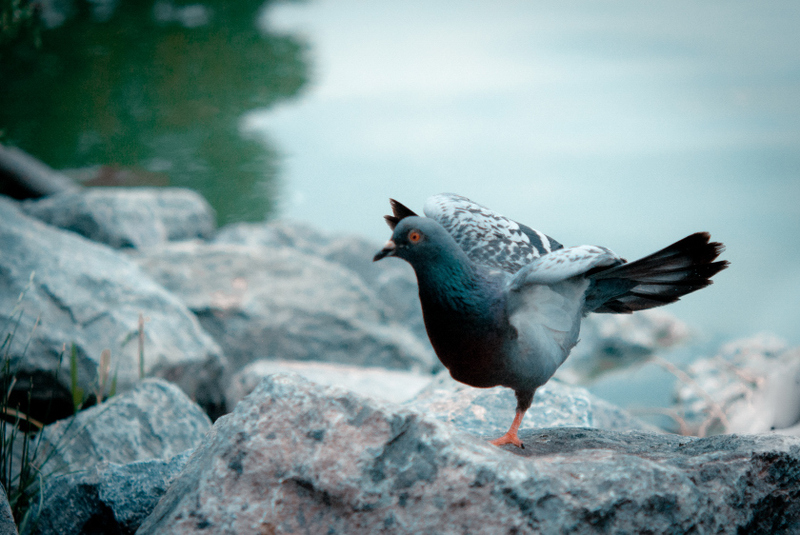 Most Londoners see pigeons as nothing more than rats with wings, but some people are actually terrified of them. For one person a family visit to Trafalgar Square resulted in full-on pigeon phobia. And last month a pigeon trapped behind a wardrobe in a house in Wimbledon caused such great distress that the London Fire Brigade had to be called to the rescue. But there was a time when pigeons were considered heroes. During the Second World about 250,000 homing pigeons were employed as military messengers by the Royal Air Force, 32 of whom received a Dickin Medal for their bravery. 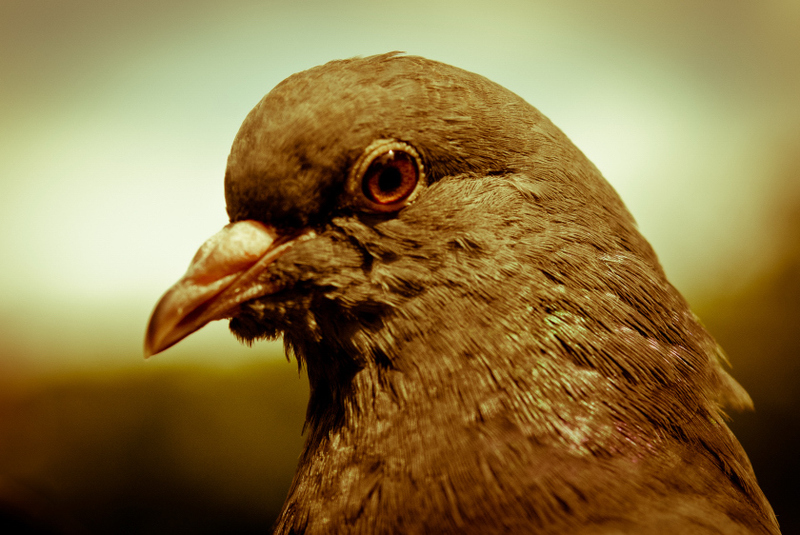 There’s a special display about Pigeons at War at Bletchley Park in Milton Keynes. Lest we forget, they star in the animated film Valiant. 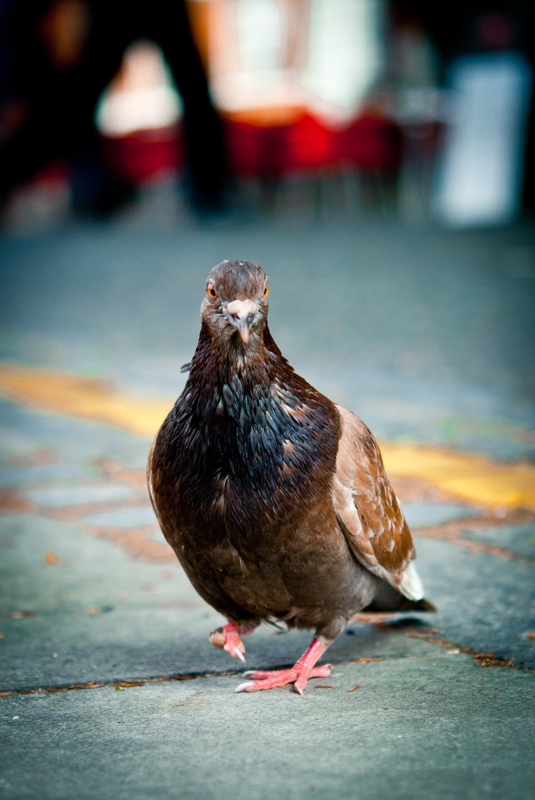 London is also home to the famous and widely loved Brian, the world’s first blogging pigeon. 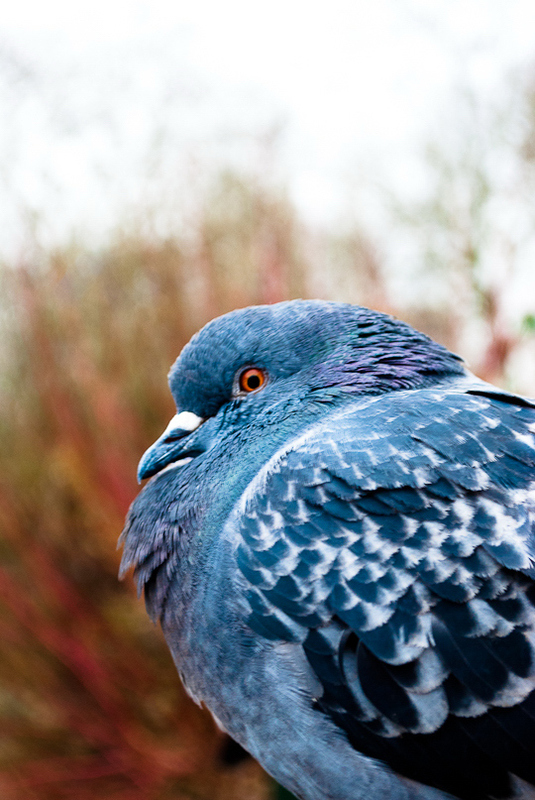 Surprisingly, he’s not the only online pigeon in Central London. There’s also Pepys, who blogs about the curiosities he finds at London Peculiar. Although Brian is known to ride on the Piccadilly Line, others have been seen on the District and Central Line. 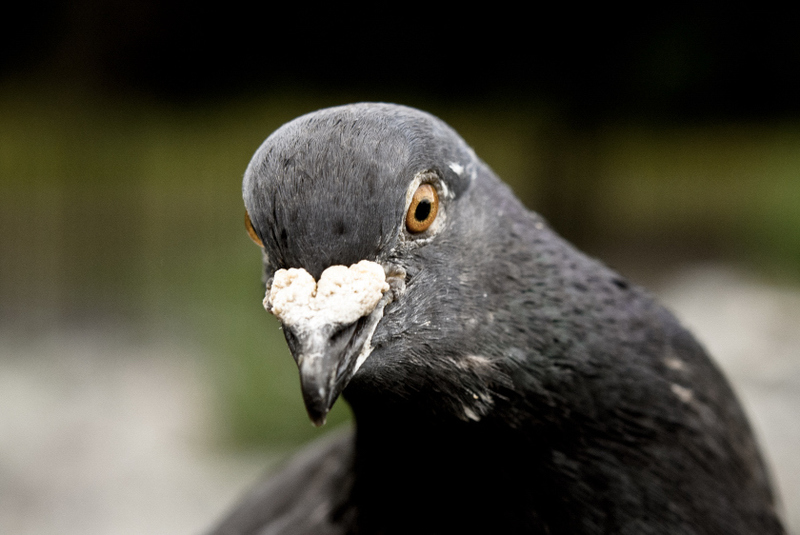 The biggest fallacy about urban pigeons is that they are a health hazard. They carry diseases like all other animals, but with good hygiene practices the risk of infection is in fact negligible. You’re more likely to be struck by lightning. There is no need to worry about bird flu either. 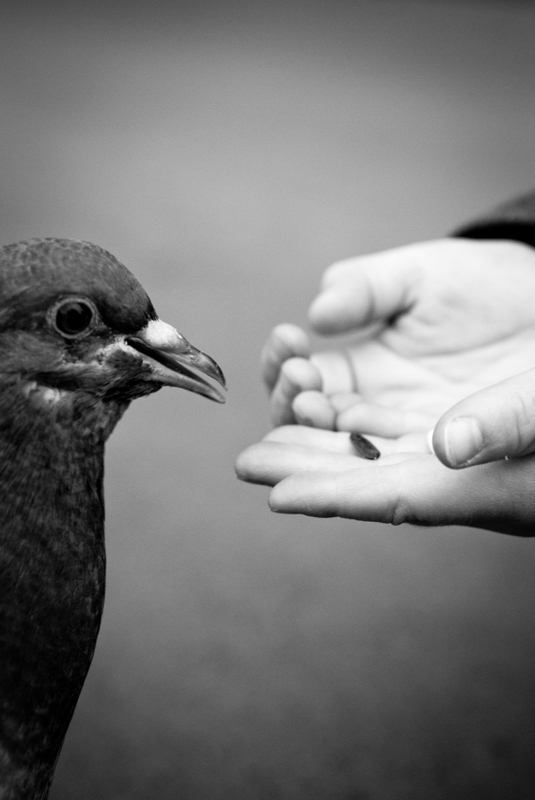 For those who want to feed them, pigeons love (sunflower) seeds. They just hoover them up. Do remember to avoid the Westminster area. It’s best to always check if feeding is allowed at a particular site. And don’t forget to wash your hands afterwards. Words and pictures by Mischa van den Brandhof. More pigeons here.See also Mischa's guide to London's squirrels, including some very cute pictures.